Gutters are recommended for all eaves receiving water. They are required for all eaves above the first story unless the area drained is minimal. 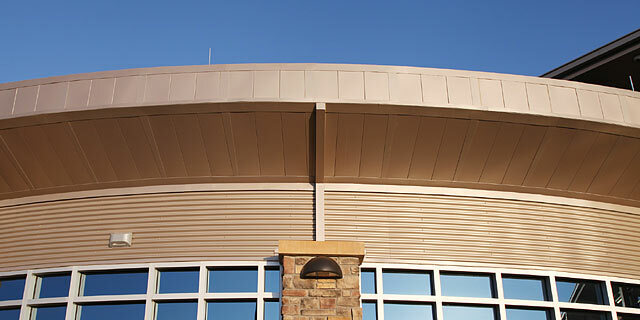 All gutters and fascias shall normally match the roof color. 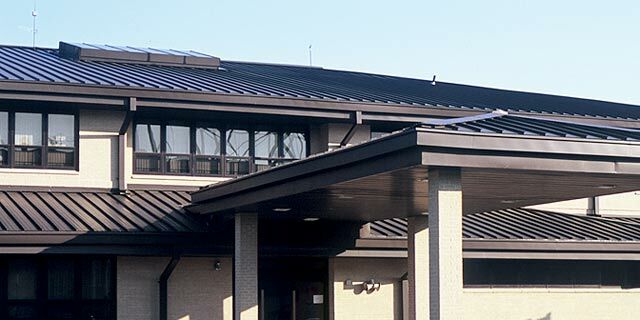 At facilities where the color of the roof and fascia differ, the gutter may match the color of the fascia. 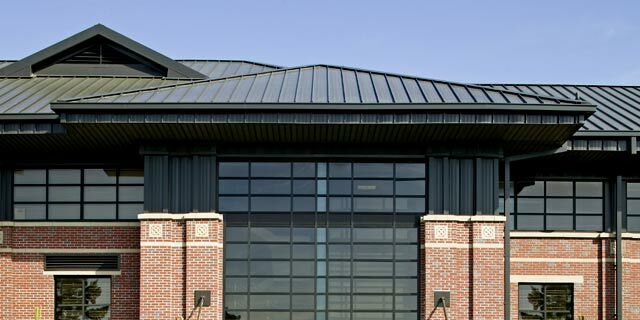 Size the roof drainage system for 10-year storms per SMACNA. 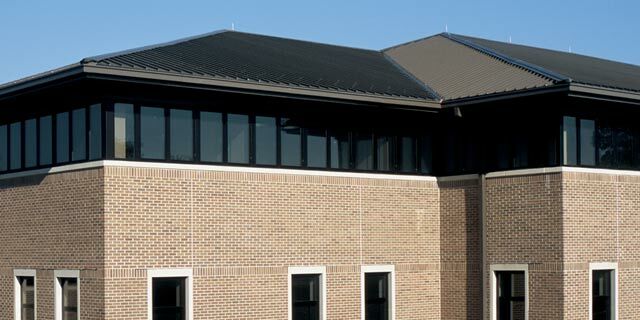 Integrate downspouts with the architectural details of the wall system and arrange in an orderly, non-prominent appearance. Follow base standards for color, generally blending downspouts with the color of the wall (not contrasting it). 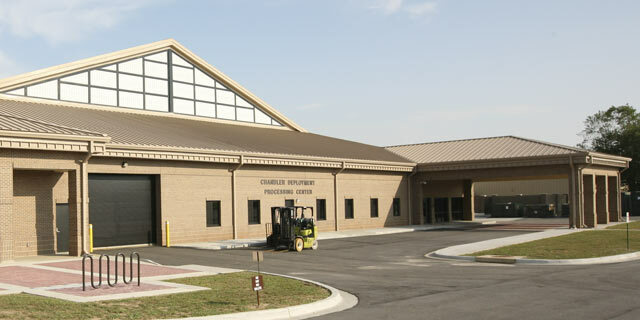 Fabricate downspouts from non-corrosive materials such as aluminum, zinc-coated steel, or stainless steel per base standards. Stainless steel may only be used with base-level Architectural Review Board (ARB) approval. 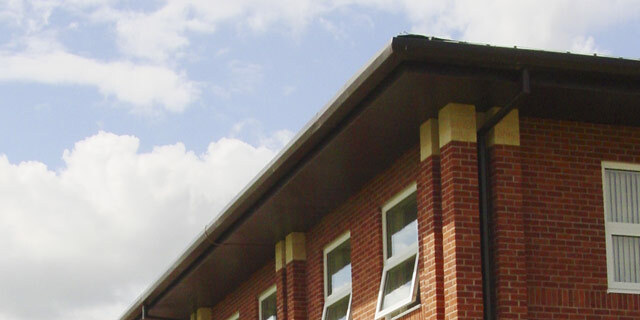 Open-faced downspouts may be used in severe climates. 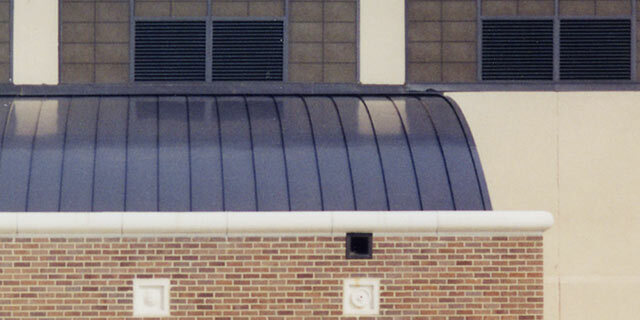 Use scuppers when required in parapet walls. Arrange scuppers in an orderly manner consistent with other elements of the wall system. Preference is to avoid the use of open scuppers. Unless they are the backup for an internal drain system, they should terminate in downspout heads. 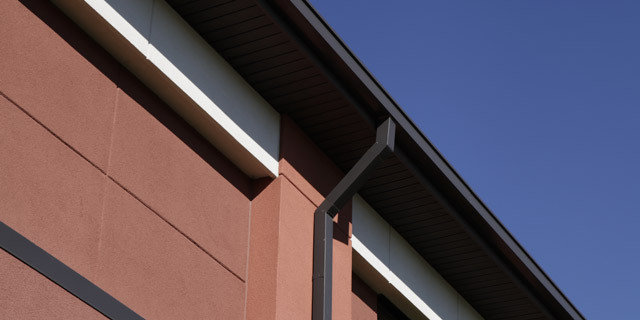 Angled transitional pieces shall be provided for downspouts so they fit closely against the wall for their entire length. 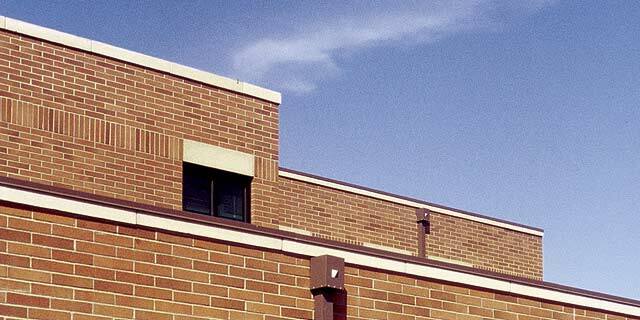 Coordinate locations of control joints in masonry and stucco walls with downspouts when possible. Place downspouts away from building entries. Water discharged should not run across sidewalks.